When you've got David and Victoria Beckham as your parents, it's safe to say that not only are you blessed with good genes, but you've also hit the jackpot when it comes to talent. 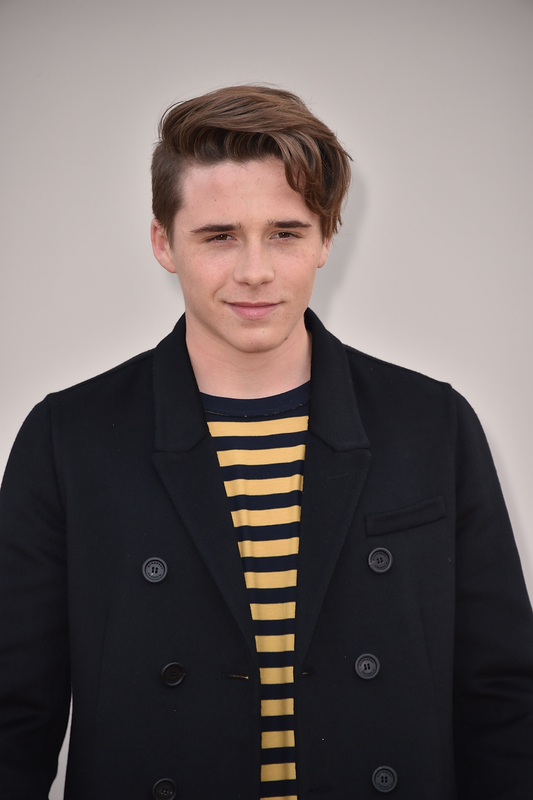 Making his celebrity mom and dad extra proud, Brooklyn Beckham photographed a Burberry fragrance ad campaign and the resulting photos show a promising future in photography for the 16-year-old. His debut photoshoot for Burberry Brit will be released in July. Armed with a camera and his skateboard, Beckham photographed a couple of models at various locations around London, including alleys, rooftops, and even an indoor skatepark. The budding photographer shared behind-the-scenes images on Burberrry's Instagram and Snapchat, which used the hashtag #THISISBRIT for the upcoming fragrance ads. "Brooklyn has a really great eye for image and Instagram works brilliantly for him as a platform to showcase his work," Burberry designer Christopher Bailey said. "His style and attitude were exactly what we wanted to capture in the spirit of this new Brit fragrance campaign and I am loving the shots of today's live shoot which looks incredible." The British luxury brand is close to Beckham's heart, as his younger brother Romeo modeled for Burberry's star-studded holiday campaign last year. Even though this is Beckham's first time shooting a major fashion campaign, the preview pics from the shoot prove that we are likely to see more of his camera skills put to good use. However, there might be other careers in store for the gifted teen. Uhm, have you ever heard of Beckham's dad? He's kind of a big deal in the sport. With over five million Instagram followers and a Miss Vogue cover under his belt, there's definitely room for young Becks to go the Kendall Jenner route. Like mother, like son. Or, he could follow his mom's footsteps as a former pop star and form a boy band.